You’ve probably seen the charts that show how much water is contained in the makeup of everything from an orange to the human heart. Massive, solid trees are no different. Their mass is comprised of a significant amount of water. And like people, not all trees are equal in water content. The Catalpa tree in my back yard, according to a chart supplied by the National Computational Science Leadership Program, is, by weight, 48.25% water. Trees listed range from 7% to 54% water. 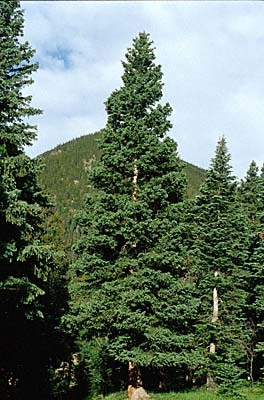 These Spruce trees are, by weight, about twenty percent water.